Seneca: Worst Teacher of All Time? What makes someone a great teacher? That's the reason why Annie Sullivan is among the first great teachers who come to mind--not because of the remarkable teaching methods immortalized in The Miracle Worker, but because of the remarkable public intellectual that Helen Keller became. That's the reason why Socrates is immortal--not only because he was such a brilliant thinker, but also because his student, Plato, turned out to be a pretty renowned philosopher in his own right. There are other great teacher-student duos: Ambrose and St. Augustine, Aristotle and Alexander the Great, to name a few more. Of course, this coin has an opposite side--and it was the primary reason why I read James Romm's Dying Every Day this month. It is a wicked student that makes one a wicked teacher. Nero crowned by his mother, Agrippina. In the annals of history, there are few characters more notoriously wicked than Nero Claudius Caesar Augustus Germanicus, who ruled Rome from 54 to 68 AD. His reign of terror is remembered for the burning of Rome, the first persecutions of Christian, and the violent termination of his incestuous relationship with his mother, Agrippina. Almost as bad--considering that this is a critique of Nero's teacher--was the fact that the young emperor was a poor poet, despite his desire to perform in public and earn the adulation of Roman audiences (with his hooligans milling through the crowd to ensure enthusiasm). Seneca followed Nero upon his accession to the imperial throne following Claudius's death, writing the teenaged emperor's first speeches and acting--along with Agrippina--as a chief adviser. Romm follows the ethical dilemmas that dogged one of Rome's most prominent ethical thinkers through a progression of teacher, adviser, advocate and target of the mad Roman princeps (a term that Romm uses instead of emperor throughout the book). His chapter titles reflect Nero's crimes: Suicide (I and II), Regicide, Fratricide, Matricide, Maritocide and Holocaust. In many of these these crimes Seneca was an accomplice. From each of them Seneca benefitted. Seneca had made the bargain that many good men have made when agreeing to aid bad regimes. On the one hand, their presence strengthens the regime and helps it endure. But their moral influence may also improve the regime's behavior or save the lives of its enemies. For many, this has been a bargain worth making, even if it has cost them--as it may have cost Seneca--their immortal soul (133). But Romm brings to light many of Seneca's weaknesses--which might not be evident to readers of Seneca's works which place Reason preeminent above wealth, power and love. Seneca, the son of a Roman knight, a few rungs down the social ladder from most senators, amassed a huge fortune to go along with his political power in Nero's court. Romm finds allegations that Boudicaa's Rebellion in faraway Britain may have been caused, in part, by Seneca's insistence on calling in loans in the colony, raising the ire of Britons. 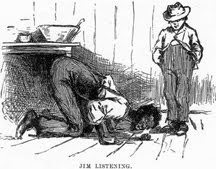 How ironic is it that the poet who wrote, "all the world's gold mines, heaped up into a single pile, would not be worth the frown on the face of a good man," possessed quite a few gold mines in his own rite (112). 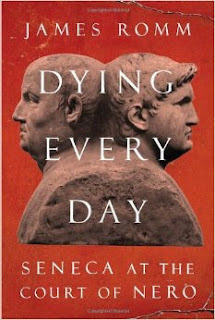 By the end of Seneca's life, his fortune is too much. He tries to give most of it back to Nero in exchange for a peaceful retirement. His request is refused. The paranoid Nero keeps his enemies close. His allies closer. Romm intersperses his history with examples from Seneca's works, showing how the moralist tried to represent ideals in his works that he fell far short of in real life. The final contradiction of Seneca's life was his title as a teacher. Plyny the Elder, who wrote a generation later, called him pinceps eruditorum or 'educator of emperors.' His critics, among which was the writer, Cassius Dio, who left a detailed account of his role in Nero's court, preferred the term, tyrrannodidaskalos or "tyrant teacher" (217).